Bardsey Action Group (BAG) exists to protect the green belt around the village of Bardsey, in NE Leeds, from the threat of uncontrolled and unsustainable housing development. Formed in 1993, BAG has been brought back to action in 2016 because of a proposal by landowner Bramham Estate to build 150 houses on a field within the greenbelt. To object to the proposal you need to set up an account (easy to do) and confirm it via email, then file your objection. Paste this link into your browser. If you then want to email BAG with your objection, we would be happy to put it on the site with or without your name. Congratulations Bardsey and East Keswick – you’ve saved our Green Belt! Being the very lucky village we are Bardsey is not without specialist help coming forward from all quarters in including drainage, highways, websites, social media and more. What we are lacking at the moment is someone with a strong PR background for the next stage of our campaign to get our message out to a wider audience. 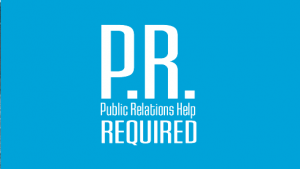 If you have PR Experience or know someone able to offer advice, please get in touch. We have funds available should it be required. But we are hoping for a someone in the village able to lend a hand and point our marketing and social media team in the right direction.